Disclaimer: This is my personal story about my fight with infertility, and the eventual miracle the Lord blessed me with. Everyone has their own story, and their own views. I am not trying to preach in this post. But I want to give home to those who are hurting, and let you know you aren’t alone. I am the oldest of 6 kids. The first 4 of us were all what they call “Irish twins”, being about 18 months apart each. My poor mother went crazy with all of us. We were like a pack of wild animals. But my angel mother wasn’t deterred. And when she was done having babies, she fostered two more. I was so surrounded by kids that the idea of not being able to have kids of my own never even registered on my radar. Fast forward many years and I was married and wanting to start a family of my own. The first year we were married I was convinced I was going to be my mother. So I was very careful with the birth control. After we had been married a year, we decided it was time. And I got pregnant right away. In my mind this child was already starting high school when 10 weeks into my pregnancy the OB couldn’t find a heartbeat. I was devastated. Now, something I didn’t realize when I got married was that men and women deal with pregnancy differently. To a woman the positive pregnancy test is a breath away from holding that baby. And a few weeks of puking will dedicate you to that child in a way that makes it very real. For men, pregnancy is simply a “save the date” invitation. He is waiting, and doesn’t get fully invested in the baby till he holds that baby for the first time. Until that time he is supportive of the pregnancy because he is dedicated to you. So I didn’t understand why my husband wasn’t as visibly devastated as I was. He was hurting in his own way- but it would have been more fair to him if I hadn’t expected him to act like a woman. About the time I was recovering emotionally from this experience, my husband graduated from college and we headed off on a great adventure. We moved 2,000 miles to start his first job in Philadelphia PA. What an amazing town! It is both the heart of the US Revolution and some of the leading medical care in the world. So I went to an amazing doctor for help. She was supportive, experienced, smart, and found the problem. Now, if you have never been blessed to have diagnostic tests for infertility, you are very lucky. I can’t imagine anything more embarrassing, invasive, and painful- both physically and emotionally. So when a friend tells you she is enduring this gauntlet for the sake of a family, give her a big hug. She needs it! Every infertility story has a point where the woman in the leading role goes insane. And I was no different. Every month is a cycle of hope, holding your breath, potential elation, and deep depression. You have hope because you have experts helping you overcome your obstacles to motherhood. Then you hold your breath waiting for a positive pregnancy test. You are elated if your cycle is even one day late. And you are deeply depressed if that test is negative. It’s a loop you don’t understand unless you’ve been there, or have someone you love who has been there. And it’s terrible! You can only take that kind of roller coaster for so long. And my poor unfortunate husband got to ride it along with me. It tested our marriage to the limit. I couldn’t take it anymore. And to make matters worse, the doctor wanted to start IVF, because nothing else was working. I started looking around. My coworker was in the same boat. She was on round 7 of IVF and had mortgaged everything she owned in her efforts to start a family. I read the material about what was involved in the procedure. (Want to be scared out of your wits? Read that pamphlet!) About that time I found a magazine article about a woman who walked away from all the infertility stuff, and how much peace she found because of it. And I decided I needed a break. My sweet husband was supportive. The cost had been high both emotionally and financially, and I know he needed a break too. But I’ve always wanted to be a mom. And ending it all completely was very hard for me. So we went to our Bishop and asked for a blessing. In the LDS church a blessing is when a Priesthood holder places his hands on your head and waits for the inspiration of the Lord. The Lord gives you direction, healing, council and comfort through blessings. And I needed all of the above. As our Bishop placed his hands on my head, I’ll never forget the feeling of peace and purpose that came over me. The Lord told us that He needed our service at that time. And that if we would serve Him, in time He would bless us with a baby. I was elated! I would have climbed the highest mountain if I’d been asked to in that moment. It wasn’t more than two weeks later that the Lord made good on His request. My husband was was asked to be a part of the leadership for a newly formed Young Single Adult congregation. In a congregation like that there are no services for children. And couples with children are never considered for leadership in those groups. It was such a great experience! We were the same age as most of those attending the congregation, so we got to feel more like older siblings than parents to the group. I loved every minute! We got to form lifelong friendships. We made so many memories. I forgot all about infertility. And the peace of letting go was amazing!! About a year and a half into our adventures, I got a very big surprise. I’ll never forget telling my husband that I was pregnant. I told him as he was about to leave for work in the morning. He seemed like he was super cool, calm and collected. That is, until he broke the handle off the storm door as he left. I never fixed it while we lived there because it was such a sweet memory. I went to my doctor the next day. I was high risk, and had to have ultrasounds every week for the first trimester. I’ll never forget how stunned my doctor was. She kept saying over and over “You did this all by yourself. You did this all by yourself!” I had to gently remind her that the Lord had done this, not me. I firmly believe that every baby born is the Lord’s will, and has His full involvement. Read all of Patty’s articles by clicking on the photo. After a long and difficult pregnancy, my beautiful boy was born perfect and whole. He is the light of my life, and brings joy to my heart every day. Since his birth I’ve learned more of what a miracle he is. Turns out I had more medical conditions I wasn’t aware of- the kind that should have killed me during pregnancy, and almost killed me afterward. But the Lord was true to His word. He gave me the gift of motherhood, and blessed me to live to get to enjoy it. And every time I get to tell my story, it’s another chance to share my witness of His goodness and grace. And every time I see my little boy smile I remember all those nights I begged the Lord to give me a baby. And I am so grateful for this journey. It wasn’t easy, but it has made me so grateful for my blessings. 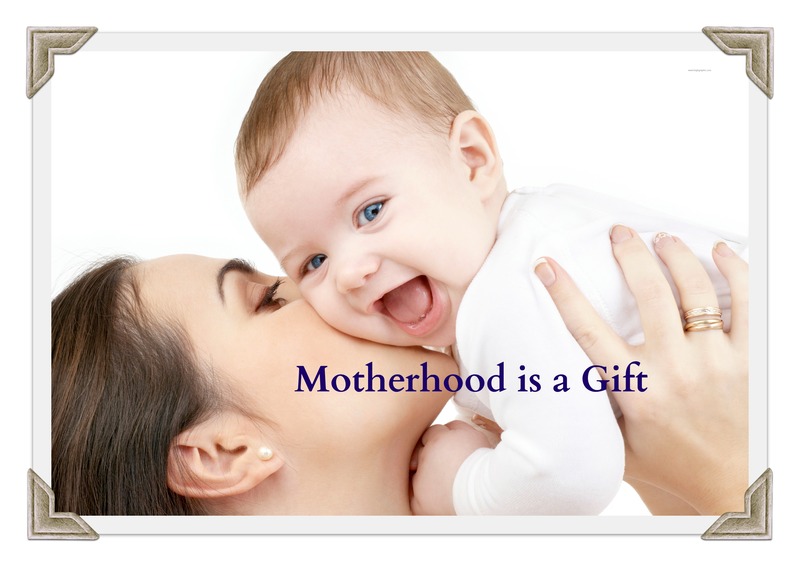 Without this experience I wouldn’t have valued motherhood as much as I do. Before this I just assumed I would be like my mother, overwhelmed with children. But now I value every day with my boy. I don’t bother the Lord for more children, I’m just super grateful for the one I have. I know I will forever be in His debt for this enormous gift. Footsteps in Faith Are You Kicking Against the Pricks? A Pulmonary Embolism Taught Me to Trust God Are You Coming With Me? Thank you for sharing your personal struggles and the insights that you gained from them. I feel the same way. 🙂 My favorite thing is telling my little boy how much we wanted him. I can tell it makes him feel special. He told the mail man last week that he was a miracle. Moments like that make all the other hard mommy moments worth it.